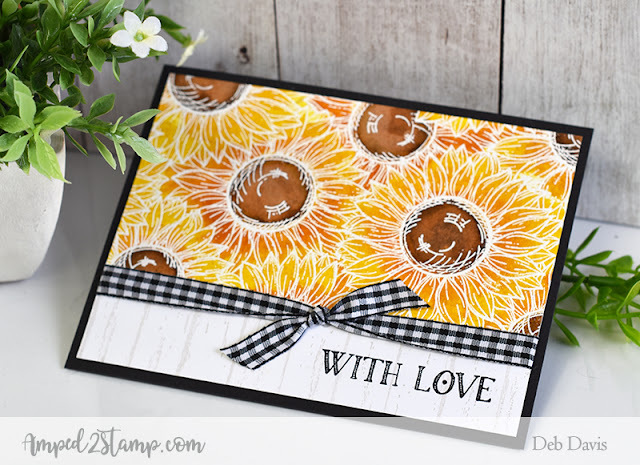 I love the new Delightful Daisies rubber background stamp from Whims Stamps, it also can be a sunflower stamp too ;o) which is my favorite flower. What's your favorite flower? 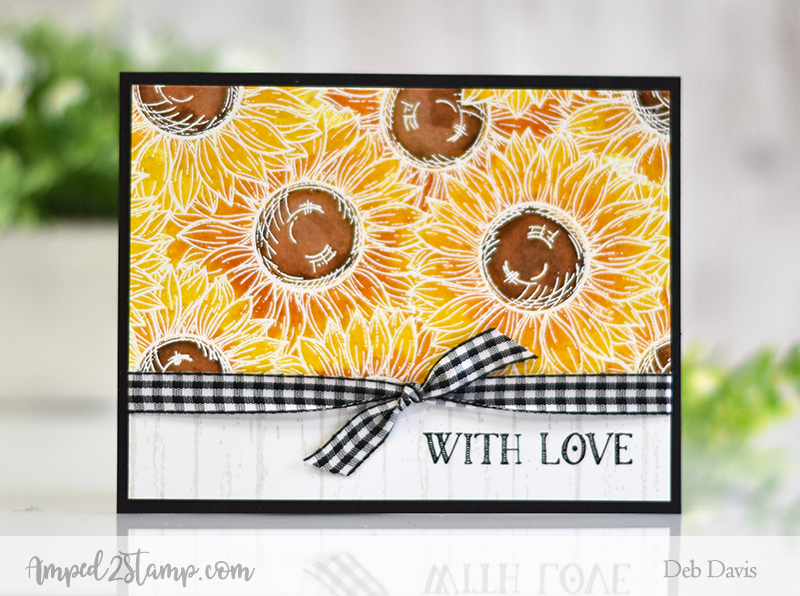 I heat embossed the Delightful Daisies background with white embossing powder on watercolor paper. Then I used distress inks to watercolor the flowers. 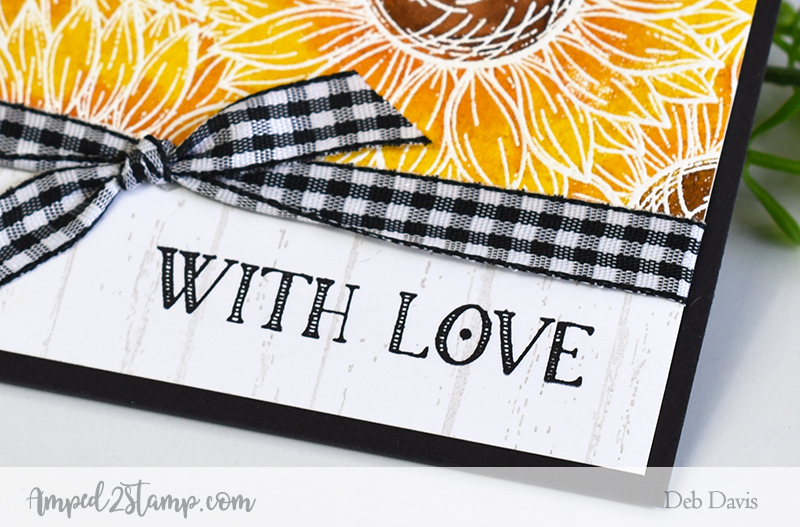 The gingham ribbon is a sneak peek from the upcoming Paper Door kit that will be releasing on September 10th so be sure to stay tuned for that ;). 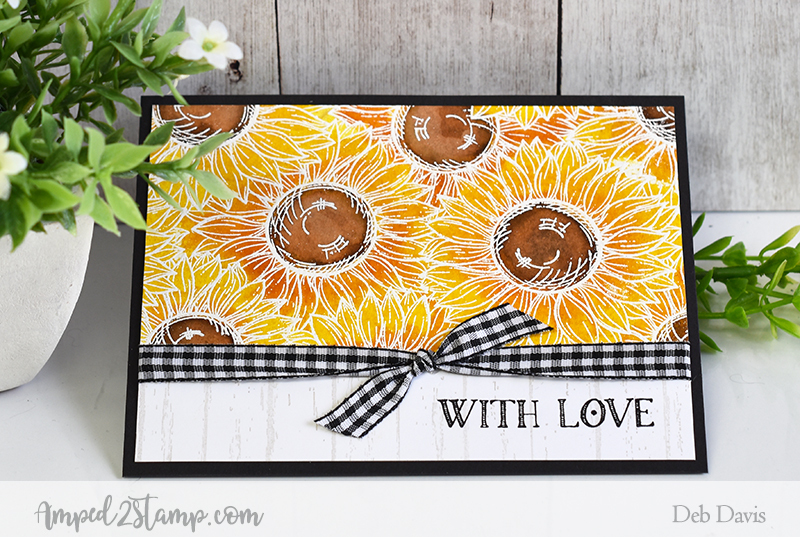 To give this card a country farmhouse feel I used the Farmhouse Shiplap background stamp for the woodgrain on the bottom of the card. 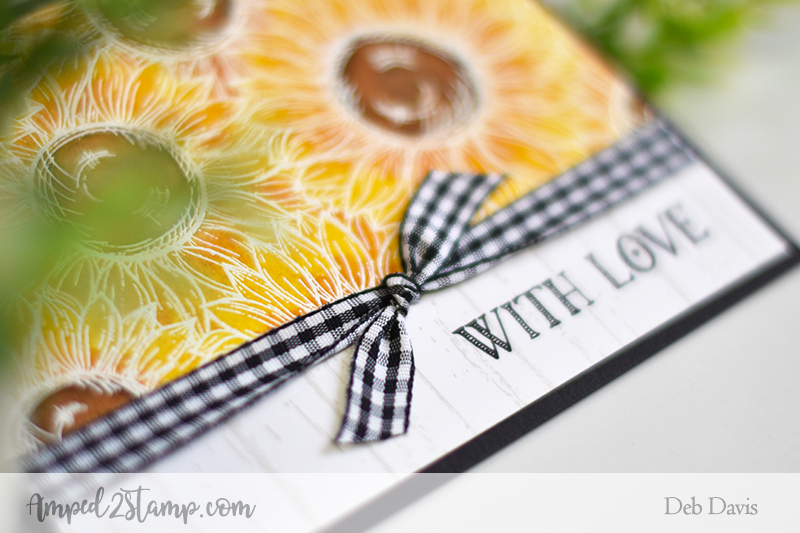 And the perfect country feeling font for the sentiment is from the Farmhouse Wreaths clear stamp set. 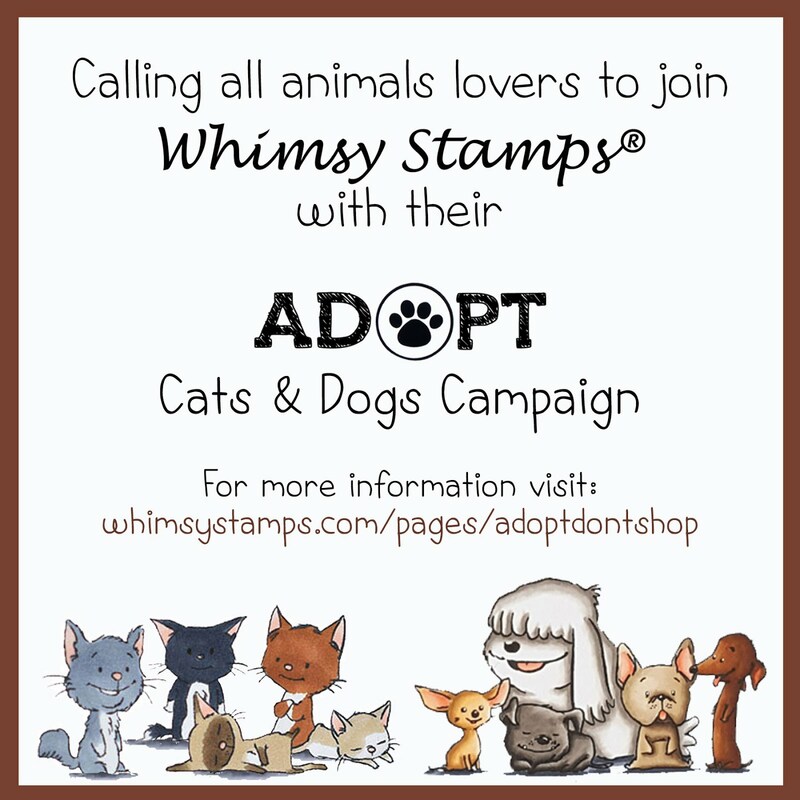 I hope you enjoyed my post today and I hope you are having fun with all the exciting new Whimsy Stamps products released this month!